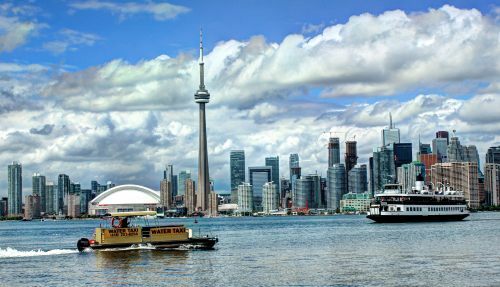 Sunwing has dropped the prices on a lot of their flights from Vancouver to Toronto down to $452 CAD roundtrip including taxes. The most interesting of the available dates are the July and August flights, as well as the flights over Labour Day long weekend in September. Dates in May, June, July, August, and September 2016. 5 Responses to "Vancouver to Toronto - $452 CAD roundtrip including taxes | summer and Labour Day dates available"
scored this deal for august ! Really wish an email had gone out about this deal, I've been looking constantly for it and just missed the Sunwing deal to Toronto. Hope this comes around again. Does anyone know how reliable their flights between YVR and YYZ are? It's a smaller fleet and I've heard they are more prone to cancellations and last minute changes. WG (Sunwing) has it own fleet of 29 Newish 737-800 avg age 6.6 years per. The biggest reliability problems with their own planes is scheduled stop changes which is unlikely YVR-YYZ as only their ownly other domestic program is to NL (YTT, YJT, YQX) . Planes come from YYZ which is their hub.